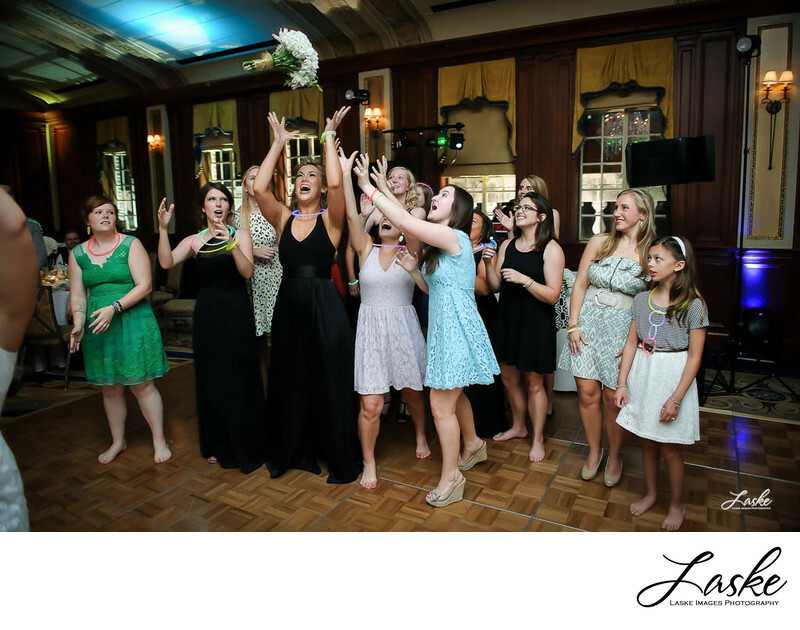 Bridesmaid throws her arms in the air during the bouqet toss to catch the Bride's bouqet at the wedding reception. Surrounded by other single ladies of all ages. 1/60; f/3.2; ISO 1600; 24.0 mm.